Looks like those days of late night concerts in Austin are starting to become a thing of the past. 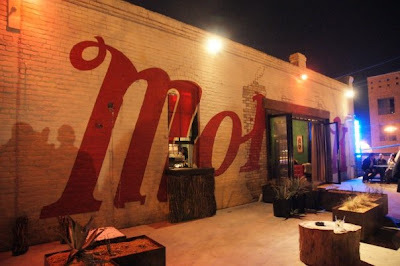 Starting June 1, outdoor shows at Club DeVille and the Mohawk will start at 8 or 9 p.m. and finish by 11 p.m. on weekdays (Sunday to Wednesday) and midnight on weekend (Thursday to Saturday). Indoor shows at the Mohawk will likely stay on the typical everything starts at 10 p.m. and ends at 2 a.m. schedule. Earlier show times have long been debated in the Austin music scene. Williams also says they may start booking local bands to play indoors from midnight to 2 a.m. on nights that feature outdoor shows. Some think the shift in last call to 2 a.m. in 1974 permanently changed the way live music worked in Austin. Drinking ages in Texas have also wobbled over the years. In 1973, the drinking age dropped from 21 to 18, just in time for the cosmic cowboy explosion. In 1981, it moved from 18 to 19. In 1986, it moved back to 21. “Those two changes (the midnight to 2 switch and the 21-drinking age) are highly underrated in affecting the health of theAustin live music industry,” Monahan said. Dead Oceans Records owner Phil Waldorf, who also spent time booking Emo’s with Williams, agrees with this assessment. Most booking agents subscribe to the idea that the earlier a headliner goes on, the more people will be at the show. In New York, for example, shows of the type the Mohawk books are typically over by midnight. The house turns over and a D.J. plays for those who want to drink until 4 a.m. at the latest. Williams says the policy will also apply to Bourbon Rocks, the Sixth Street bar Transmission is currently renovating and turning into a 1,000 capacity outdoor venue, which is the same size as Emo’s big room and La Zona Rosa. Transmission also books shows at Red 7 and occasionally at Lambert’s.